The scoring started early for senior forward Rob Marberry and didn’t stop until the game was over. From the opening tip-off, Marberry showed why he’s one of the top scorers in the ASUN Conference. He scored Lipscomb’s first 10 points on perfect 5-5 shooting, giving way to a 70-52 Lipscomb victory. 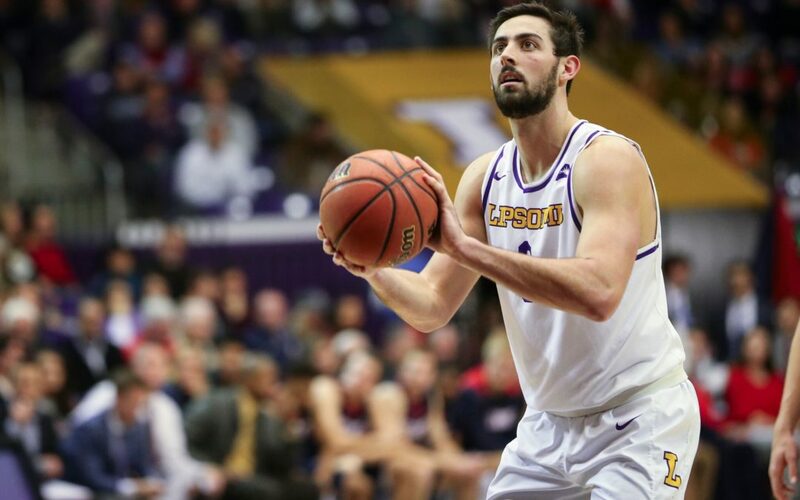 Lipscomb (13-4, 4-0 ASUN) came into the game looking to stay perfect within conference play, while NJIT was looking to bounce back from a six-point loss to UNA. NJIT (13-5, 1-2 ASUN) has been great at home, dropping only a single game at the WEC. The game started out quickly for the Bisons, as the team was able to force four turnovers within the first five minutes to jump out to a 10-4 lead. NJIT was able to get Lipscomb’s lead down to three points on a Diandre Wilson three-pointer to end a several-minute long scoring drought that affected both teams. With seven minutes to go in the first half, the Bisons started rolling. The Bison’s smothering defense was able to keep the Highlanders at bay, which turned into more opportunities for the offense. Over the next five minutes, Lipscomb would go on an 11-2 run, including holding its opponent scoreless for another several-minute stretch. At the half, Lipscomb was ahead 36-20. The team forced 11 turnovers – though the Bisons committed eight of their own. By the end of the game, NJIT had amassed a total of 21 turnovers. The Highlanders came out strong in the second half, scoring four quick points, but the play of the Bisons made sure the momentum never shifted away. The lead quickly ballooned to over 20 points, and the Bisons never took their foot off the gas. This was thanks in large part to Garrison Mathews. He would often draw extra attention from defenders, which allowed his teammates to get open for easy buckets. By the time the final buzzer sounded, Rob Marberry had scored 23 points on 11-12 shooting. Mathews had 11 points, and Matt Rose impressed off the bench with a season-high 17 points, including five three-pointers. NJIT’s leading scorer, Zach Cooks, was the only Highlander in double figures with 11 points. Lipscomb will next host a Kennesaw State team that has lost five in a row. Tip-off is Monday at 6:30 p.m. CT.